National Cheeseburger Day, while not an official holiday, is doubtless an important one to the restaurant industry. Anything to get customers to spend their money on your product, and it is fair to assume that most restaurants serving burgers had Tuesday September 19 circled on their calendars. 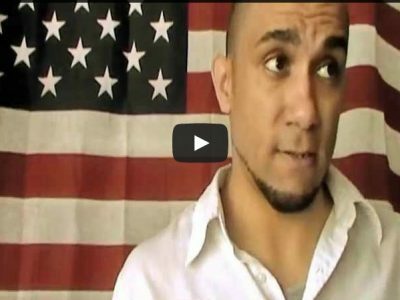 But as with any other day in the eyes of the business world, its success, which is to say how much profit is made, is dependent upon workers. 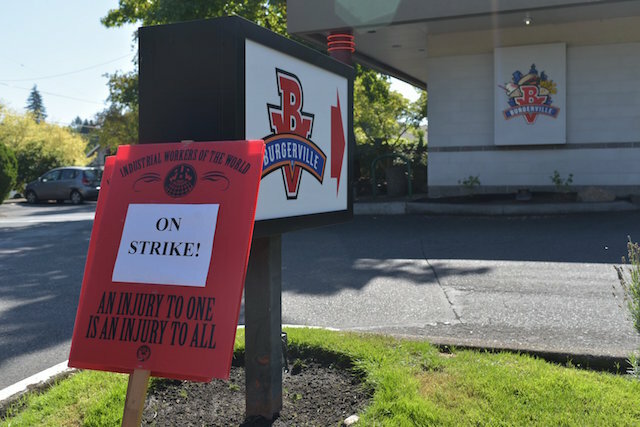 At the Montavilla Burgerville on Northeast 82nd and Glisan, the Burgerville Workers Union (BVWU) made that reality abundantly clear when union members walked off the job in protest of Burgerville management’s lying to the union during contract negotiations. The precise point of contention lay with Burgerville’s button policy which until last two Thursdays ago was only a verbal one. Last week, after previously agreeing to work with the BVWU on constructing the policy, management unilaterally declared a ban on workers wearing buttons with personal or political messages. 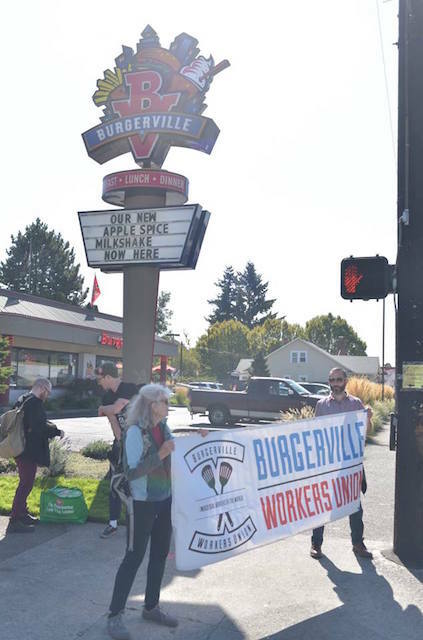 On August 22, ten Burgerville workers at the Montavilla store were sent home from work when they refused to remove buttons from their uniforms bearing political messages including “Abolish ICE,” “Black Lives Matter,” and “No One is Illegal.” The union, which has done exemplary work in organizing solidarity with a wide swathe of community, faith, and labor groups, called upon its allies to demand Burgerville rescind its policy. Soon, Burgerville relented, and the ten employees received back pay for the hours they lost when they were forced off the job. Workers at the Montavilla store–who daily interact with actual customers, not online white supremacist cranks–reported that most customers commented in support of their buttons, rather than spewing “racist hatred” at them. In February, due to Burgerville management’s recalcitrance to sit down at the bargaining table, the BVWU reached out to its allies and called for a boycott of Burgerville. 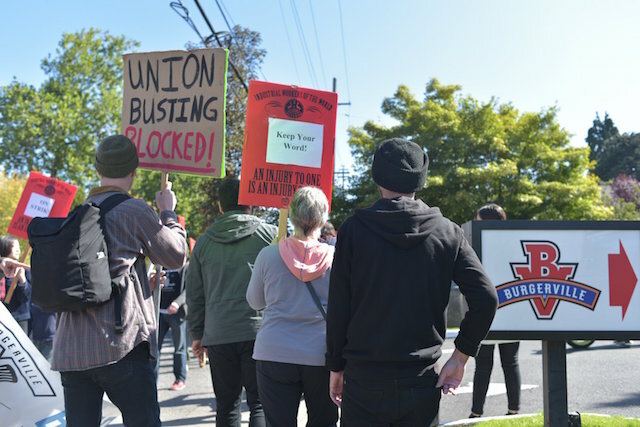 Considering the large number of community, faith, and labor groups who have come out in support of the union, the boycott has surely taken a toll on Burgerville’s bottom line. 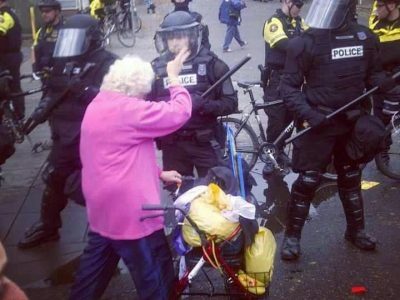 As well, a series of well-coordinated, targeted actions have seen the union and its supporters bringing business to near standstill, such as at the picket lines outside the Burgerville on Martin Luther King, Junior Boulevard on the nights of Trailblazers games. What should have been a restaurant packed with fans on their way to the Rose Garden to cheer on their team bore closer resemblance to a morgue at 3 AM, sometimes finding more security guards and goons hired to harass union members than customers. Tuesday’s ULP strike and supportive picket line in Montavilla yielded similar results. Despite the quasi-holiday’s promise of dollar cheeseburgers proclaimed on the store’s outdoor sign, not many customers were buying. During the lunch hour, despite a soft picket that made way for vehicles, no more than 50 cars came through. That is a generous estimate, as is the 40 people who walked into the store. The drive-thru was never more than three cars deep. One striking union member from the Montavilla store said that in preparation for National Cheeseburger Day, the manager had ordered 4,000 buns with the expectation of cashing in on the sale of about 2,000 burgers at lunch and again at dinner. Unless those 50 cars and 40 walk-ins were planning on starting a very intense course of Lipitor, the Montavilla store did not come close to reaching its sales goals. 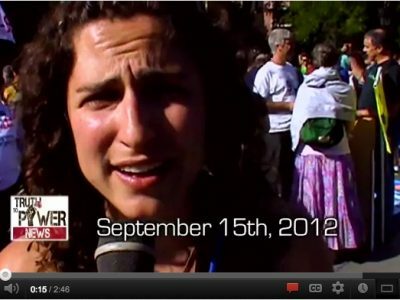 The result was comparable during Tuesday’s dinner rush at the same location. Actually, it went one better. 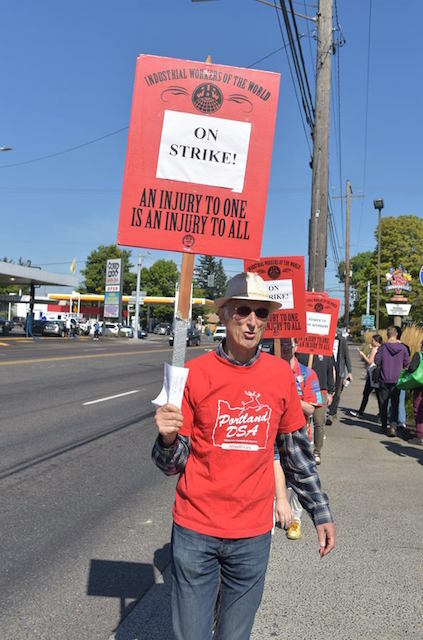 Workers from the Southeast 92nd and Powell store also walked off the job as part of the ULP strike and joined their union sisters and brothers in Montavilla. Not only was Montavilla’s dinner rush again severely truncated, but as well, due to the lack of workers at 92nd and Powell, the dining room there had to be been shut down. Serving customers is a tough dollar when there are not enough workers to serve them. It is difficult to overstate both how effective and how instructive the BVWU’s organizing has been. While it has arguably been slow going–the union was formed about two and a half years ago–the pace has been due to assuring the job is done right. Reaching out and establishing relationships, not to mention the tedium of meetings and developing strategy and tactics, is neither easy nor quick. It is also not flashy. But it is that hard and often unseen work that makes for victories. Consider that Tuesday’s ULP strike, and the picket lines that supported the union, were called for only five days earlier. Planning and coordinating such an action is at best a terribly difficult task. The nimbleness required to pull it off depends upon a group of people who have created a framework of support large and strong enough to bring out, in the case of the Montavilla strike and picket line, nearly 50 union members and allies on such short notice. And the numbers at the evening picket at the Southeast 92nd and Powell store were even greater and included striking workers from the Montavilla store. For its part, the union has not only requested that people continue honoring its call for a boycott of Burgerville, but has stated it will continue its fight for Burgerville workers to challenge white supremacy as well as its demand that management honor NLRB rules surrounding bargaining. 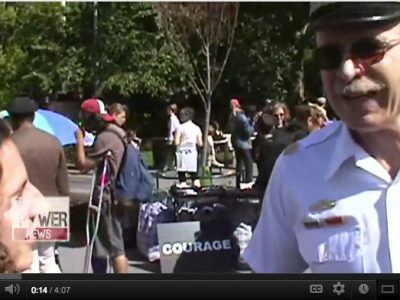 Following Tuesday’s actions, it remains to be seen where Burgerville management stands.